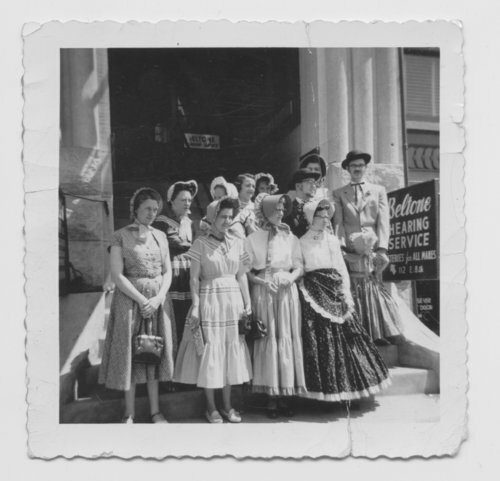 This is a photograph of the Crane and Company employees dressed for the Kansas Territorial Centennial. They are posed on the steps of the Crane and Company building located at 110 East 8th Street in Topeka, Kansas. Crane and Company was located in the Thacher building on East Eighth Street. It operated a printing and publishing house, and later it was converted to an office supply business that closed in the mid-1980s.